We often speak of life being a journey, even a pilgrimage. This summer my friend Deborah Bellinghausen became an actual pilgrim, not just a metaphorical one. She walked five hundred miles across northern Spain on the Camino de Santiago de Compostela, a religious pilgrimage route since the Middle Ages. The heart lessons of this journey linger with her. Deborah at the Atlantic, the journey’s end point. The shell motif is used on markers along the Camino. Deborah learned the importance of inner strength in the hardest possible way in 2008, when her daughter Whitney was killed in a car accident. Later Deborah took up extensive walking, for both the exercise and the quiet time to pray and think. 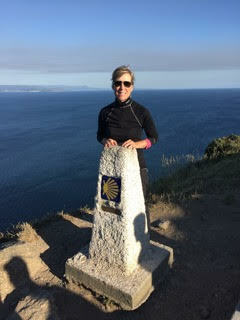 When she found out about the Camino, her heart leaped: here was an epic physical and spiritual challenge that would honor the memory of Whitney, who had always embraced life’s opportunities. 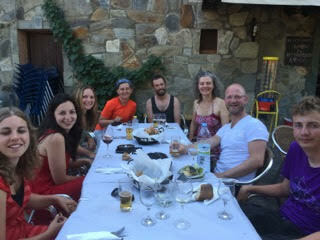 So this past June Deborah set out from St. Jean Pied de Port in southern France, bringing a thirty-pound pack, a guidebook and a journal. On the first day, the hardest of the route, she climbed a grueling ridge in the Pyrenees and then made a knee-jarring descent into Spain. Quickly realizing how heavy thirty pounds were, she began leaving behind everything she could do without: dump towel, dry off with washcloth. Camino lesson #1: Lighten the load, and get along with less. It took Deborah thirty days to walk the Camino Francés, the branch route between the French/Spanish Pyrenees border and the city of Santiago de Compostela. In her daily routine, she would begin walking as the sun rose behind her. Breakfast was coffee and a croissant at a café. She carried her lunch, often a Spanish combo of sardines and tomatoes. Because of the heat, she would stop in the early afternoon and find an albergue (somewhat like a youth hostel). There she washed out her clothes, took a nap, wrote in her journal, and often helped cook a communal dinner. She would usually walk 17-19 miles a day. On a few days, Deborah walked longer and farther, but she paid for it with blisters and exhaustion the next day. Some days the route was flatter, some days steeper, but overall the walking became easier because Deborah was growing stronger. Lesson #2: Pace yourself, and you’ll get there. 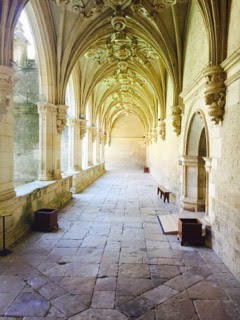 On the Camino, Deborah was sometimes alone, and the solitude gave her time for prayer and meditation. Unexpected gifts came her way: a beautiful flock of birds, the sound of a bagpiper. Often others were with her—from Italy, the U.S., Brazil, Spain, Ireland—and this too was a gift. Deborah treasured hearing the stories of her companions, often through someone serving as interpreter. Some moments were plain fun, like the night a companion played guitar and others beat rhythm with walking sticks, spoons and flip-flops. 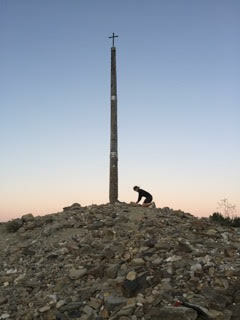 Other moments were silently poignant, such as reaching the Cruz de Ferro (Cross of Iron), where pilgrims lay down rocks representing their burdens. Deborah laid down a stone for an American friend—and that same friend had once climbed Mt. Whitney in honor of Deborah’s daughter. Lesson #3: Be grateful for each day’s gifts. Along the way, Deborah made daily decisions about detours to explore, where to stay, when to rest, whom to walk with, when to say no to others and seek solitude. Others understood. “This is your camino,” the travelers frequently told each other with respectful reverence, knowing that each person had to listen for his or her own calling. In their own time and their own way, Deborah and the others reached their destination, the cathedral in Santiago. They received the completion certificate. But it wasn’t really the end. The pilgrimage called life goes on. Deborah is home now, walking Tacoma sidewalks instead of Spanish paths, still on her Camino. 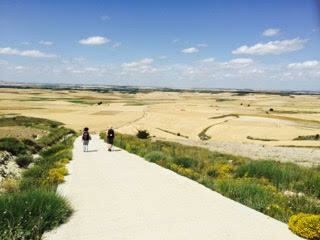 Lesson #4: This is your camino. 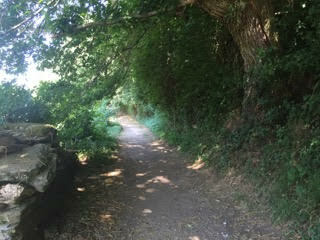 Where does it lead next?